With a higher mobile then fixed internet penetration and the youngest population in Europe (19% of Albanians are between 15 and 24 years old), Albania has the potential of becoming a truly digital nation in the future – if it plays its cards right. Their aces will be the people that attended this year’s AllWeb in Tirana, which is why I was honored to be a speaker. A key part of Albania’s journey will be building a local digital ecosystem, including events that will connect local digital enthusiasts and professionals with their colleagues around the region – and the world. 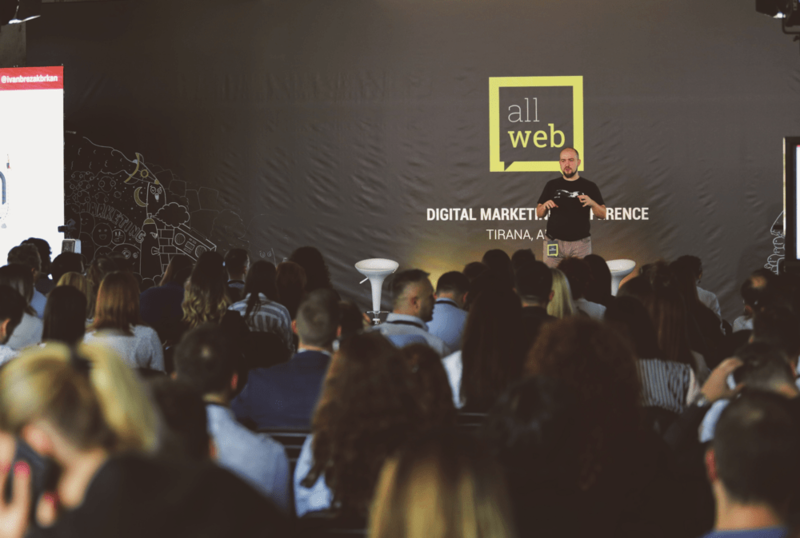 AllWeb in Tirana is a spin-off of the original, now 6 years running, leading digital communication conference in neighboring Macedonia. 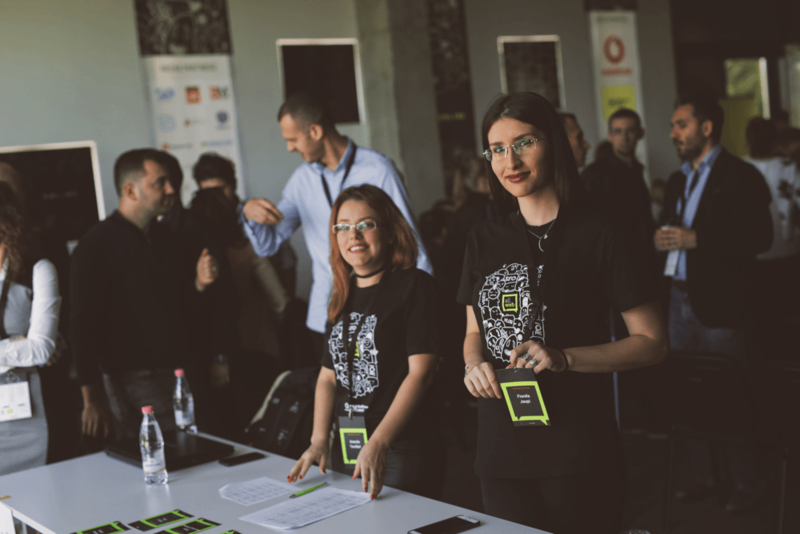 Founded by Darko Buldioski and Gerti Boshnjaku, this is AllWeb’s second event in Albania’s capital which has already become a champion of digital transformation with the ambition of growing even more. 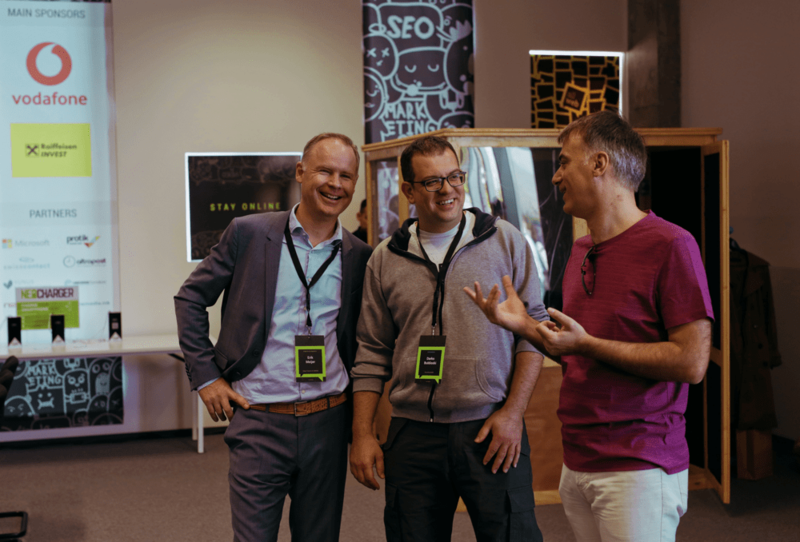 While the content at AllWeb, with great speakers such as Bruketa&Žinić&Grey’s Robert Petković and Kraftwerk’s Heimo Hammer, made for an entertaining and useful event, content as a part of digital strategies hasn’t yet come into focus in the country. Leading Austrial digital agency Kraftwerk founder Heimo Hammer sharing his experience. The talk I gave centered exactly on the digital content opportunity both in the Albanian market, but also for companies that want to export products and services by leapfrogging competitors from the region. There is no data such data for Albania. According to my sources, though – not many brands use native advertising or content marketing and those who do – aren’t doing it right. The only thing we can be sure when it comes to digital content in Albania is that the language is so unique that Google has failed them and now there is a venture-backed alternative, Gjiraffa, which raised $2 million from Rockaway Capital. They are building a search engine that understands Albanian for 12 million people that speak Albanian! This is – ironically – not a bad thing, but an opportunity! A similar thing happened in Croatia about 8 years ago with the sudden growth of Facebook and the new generation of social networks. While the US and other Western countries weren’t as excited about – for them – another generation of something they’ve seen, Facebook and Twitter were something completely new in Croatia. I remember organizing the first Twitter workshop in the region in 2009., a time when the closest other workshops for the real-time social network took place in – New York. Young Croatian digital professionals recognized the opportunity faster than their Western counterparts and a slew of digital social media agencies was born, some of which – like Degordian – have become giants in their own right. Explaining digital content opportunities with the Rimac Paradigm. 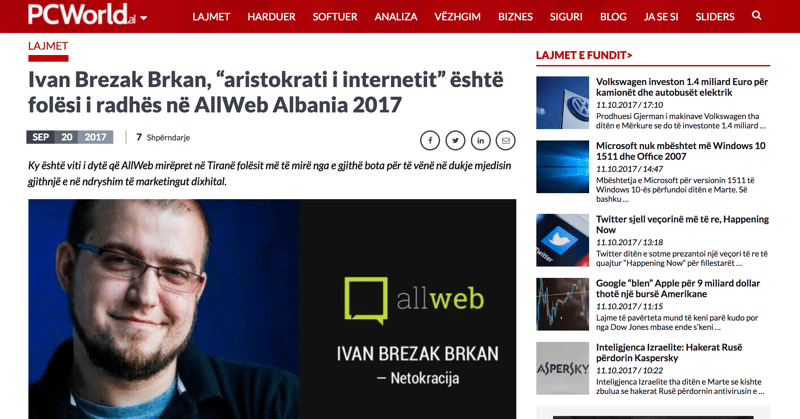 We’ll see if Albanian marketers and digital experts come out of AllWeb thinking about the content opportunities they might seize. I wouldn’t mind seeing some great content projects from Tirana at next year’s SOMO Borac digital awards, but that will happen only if local digital professionals actually ignore the regional digital industry and look beyond it – seizing the Albanian digital content opportunity. Hopefully, my talk at AllWeb 2017, helps them along the way. Erik, Darko and Robert being geeks in the break of the best digital marketing conference in Albania. David Ristevski, a.k.a. 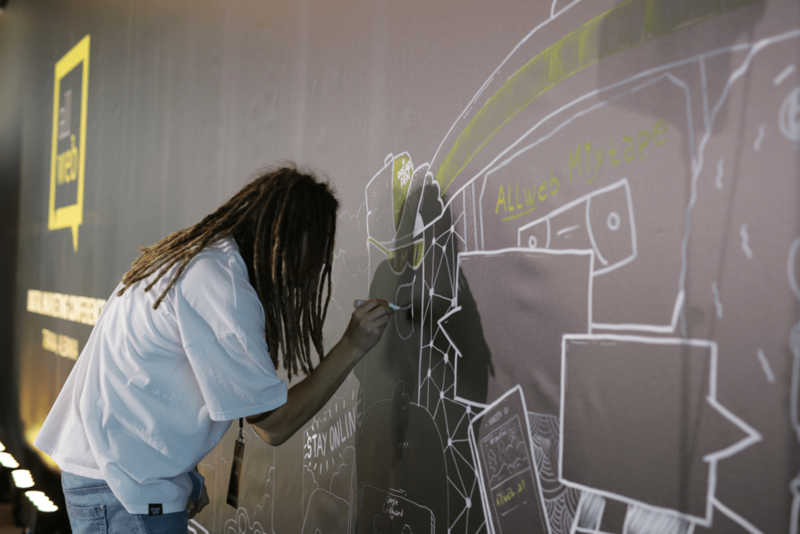 “DzaDze”, the founder of Dread (Fu*cking) Pen, live-drawing on the stage.